A new sculpture has been unveiled on the Cairns Esplanade to help promote a global social movement to protect the future of the Great Barrier Reef. The towering $1.1 million sculpture was created by Cairns artist Brian Robinson and is designed to inspire those who view it to reflect on their connection to the reef. Officially opened with a special dawn smoking ceremony, the 6m high and 11m wide helix frames the view to the reef. Formed from stainless steel, the sculptural wave depicts marine life and birds led by a life-size stingray and it’s mirror-polish surface encourages those who walk beneath it to see their reflection and consider their relationship with the Great Barrier Reef. A symbol for the Citizens of the Great Barrier Reef, this social movement has been gaining momentum in engaging people in the future of the World Heritage listed Great Barrier Reef. Some of the more notable members of this global movement include former US president Barack Obama and Sir David Attenborough, one of the most respected naturalists and documentary makers in the world. Leichhardt MP Warren Entsch said there had been tireless effort to secure some high-profile ambassadors and it was exciting to finally be able to go public. “Obama will be a citizen, for sure. We have Attenborough, Bob Irwin. There’s a whole list of very high-profile movie actors, people like that” Mr Entsch said. It’s hoped that the public profiles and social media presences of the stars joining the movement will call followers and fans to action. 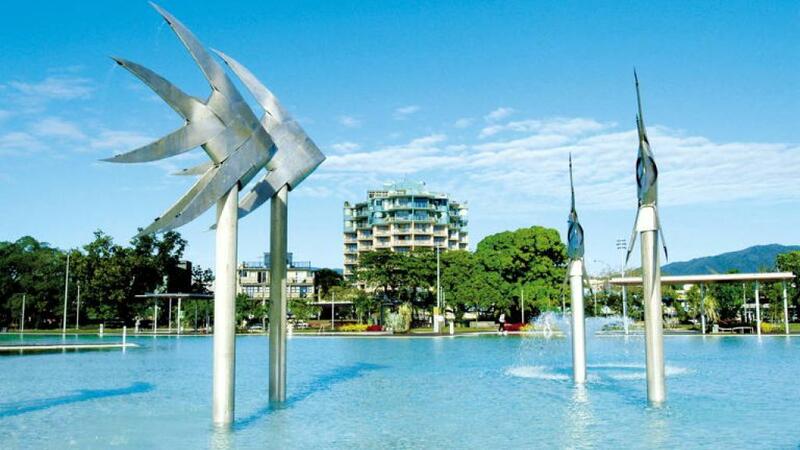 In 2003 Brian Robinson’s Woven Fish sculptures were erected at the Esplanade Lagoon and have since become an enduring symbol of Cairns and [/link https://www.great-barrier-reef.com/attractions.html ]Great Barrier Reef attractions[/link]. With the backing of the Citizens of the Great Barrier Reef, it’s expected that this new sculpture will soon eclipse them when it comes to international exposure.